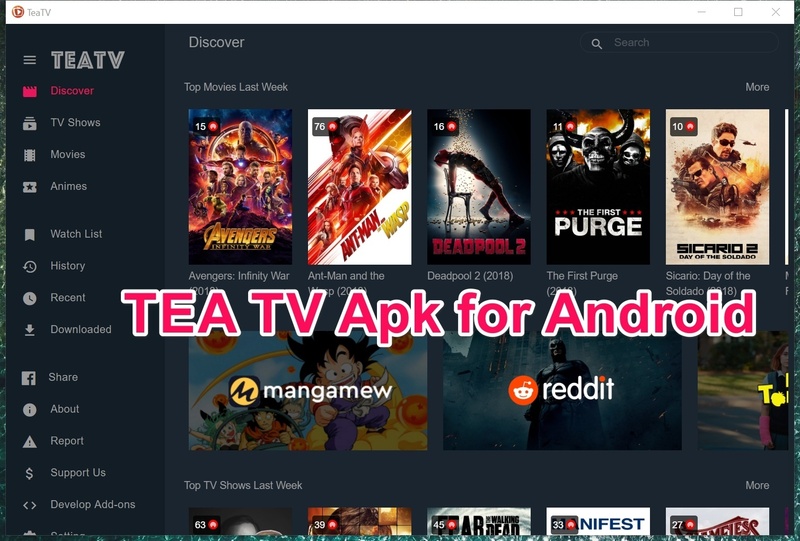 Teatv apk for Android is yet another powerful Movies, TV Shows and Live TV streaming App. Although it’s just not that famous yet, but we have been checking this app for some time now and are quite sure if this app has such powerful servers at its back, This can be the best Terrarium Alternative app for Android, iOS and PC devices. The Tea TV App is fast, stable and have a huge collection of the latest Movies, TV Shows in their list. The best and additional feature is the availability of HD and Full HD live TV channels streaming options. Mainly adding the top US, UK, Canada and other countries tv channels. This is currently the best live tv and movies streaming app of 2018 so far. I have been enjoying this TeaTV app on my OnePlus 6 and I highly recommend you to download and install it on your devices and give it a try. TeaTV is working on your behalf and making entertainment free, at no cost to you.Watch trailers, read reviews and get shows seasons details, get the latest information on upcoming movie releases. Choosing the right movie has never been so easy.You can keep track of the movies you own, the movies you wish you had, the movies you saw and the movies you want to watch. This is how TeaTV app’s beautiful interface pops up on my #OnePlus6 device. The TeaTV HD is a free to download app, This app is not available on the Google Play Store. So you have to download it from the given link below. Make sure to follow the instructions given below to successfully install this app on your device. Live TV for PC Windows 10.